Welcome back everyone! 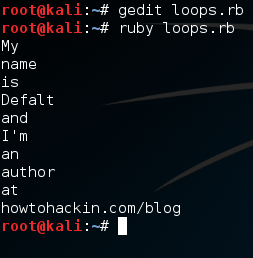 In the past two articles, we taught the basics of Ruby in a sort of crash course. The reason behind this crash course was to prepare you for building our own port scanner. That’s what we’ll be doing here today. We have a few things we need to discuss first, so let’s knock those out. We need to discuss what sockets are and how to use them in Ruby, let’s discuss this now. Simply put, sockets allow us to make and manage connections over a network interface. This is what allows us to evaluate whether a port of open or closed. If we can successfully connect a socket to the target port, the port is open. Keep in mind that repeated and sequential connection such as this can and will be logged by both the victim and any IDS/IPS devices that may be listening. Now that we know a little more about sockets, we can actually start making the port scanner. We’re going to be breaking the code down into sections and analyzing each section individually, so let’s get started! 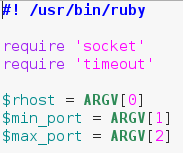 The last bit of this snippet involves us calling multiple elements out of the “ARGV” array. 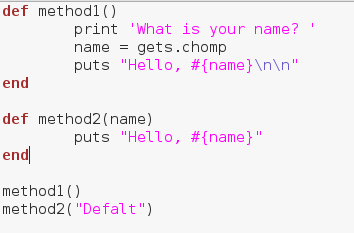 This is an automatically generated array that contains command line arguments in the order they’re given. This means that when we run this script, we need to give the target, the starting port, and the ending port as command line arguments. Now that we have the first snippet out of the way, we can work with some things we’ve already covered. Alright, we can see here that we’ve placed the whole array generation inside a begin/rescue statement. We start our conversion with an if statement, which tests to see if the start port number is less than or equal to the stop port number. This is to avoid generating an invalid range of ports. We’ve stored our range of ports in a new variable called $to_scan. The dollar sign in front of the variable name means this variable can be accessed from anywhere in the script. Now that we’ve got our range of ports, we can build the method to scan a given port. We start by creating a socket. We do this by calling .new on the Socket module we required earlier. Then we follow it with some attributes we want our socket to have. 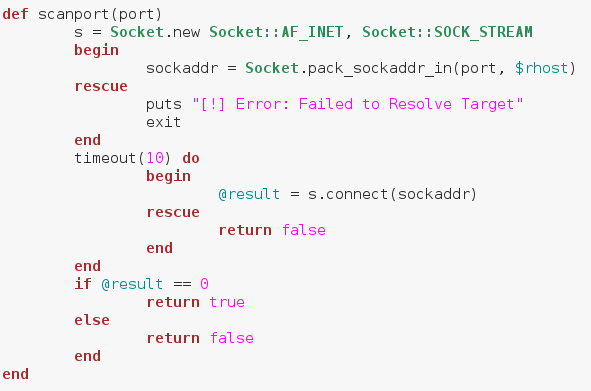 Next, we make a new variable named sockaddr, in this variable we store the result of calling pack_sockaddr_in out of the Socket module. 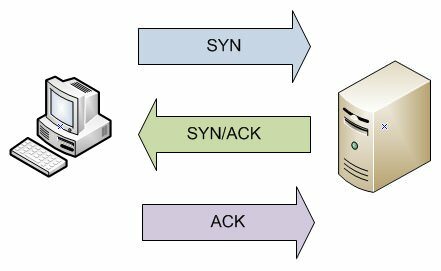 In order to connect our socket to a remote host, we need to properly pack the addressing information into it. This is the proper way of doing so, we’ve placed this within a begin/rescue just in case the socket fails to resolve the target. If you remember back to the very beginning, we imported a second module, timeout. We can make a timeout do loop to attempt a certain action for a certain amount of time. Once the timer runs out it will move on to the next section of code. This timeout is to prevent the script from hanging if a port is unresponsive. It will then assign the resulting value to the result variable. If the connection was successful, it will return 0. We can make a simple if statement to test for 0 result, and return true if it is. We will return false otherwise. Now that we’ve made a method to scan a given port, we can loop through our array and use it. First, we put that we’re beginning the scan, followed by some blank lines for neatness. Then we make a .each loop with our to_scan array. We then make an if statement using our method. Remember how our method returned true or false? Well this is where that comes in handy. Instead of manually evaluating it, we can just place it in an if statement and let it take care of everything. If the result from our method is true, we print that the scanned port is open, anything else we just ignore. Once our scan is complete, we put that the scan is complete. Now that we have our port scanner (available here), we can test it out! There we go! We were able to successfully build our own, functional port scanner! I hope now that we’ve built our own, we have a bit better understanding about how they work. In the next article, we’ll be covering the concept of discovery, and a few different tactics used by attackers. I’ll see you there!